NEWS BREAK! 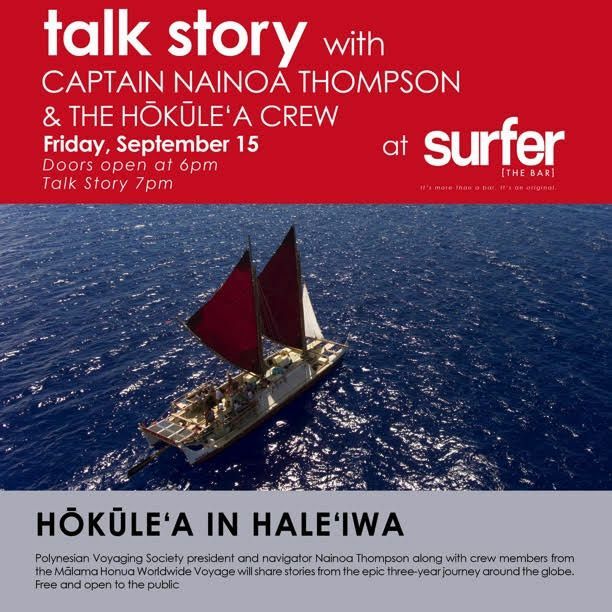 Join us Friday night for an intimate ‘Talk Story’ with Legendary Captain Nainoa Thompson and the crew from Hawaii’s iconic voyaging canoe, the Hōkūle’a. Hear their incredible stories from their three-year journey around the globe and meet these amazing voyagers in person. This ‘Talk Story’ event is free and open to the public. 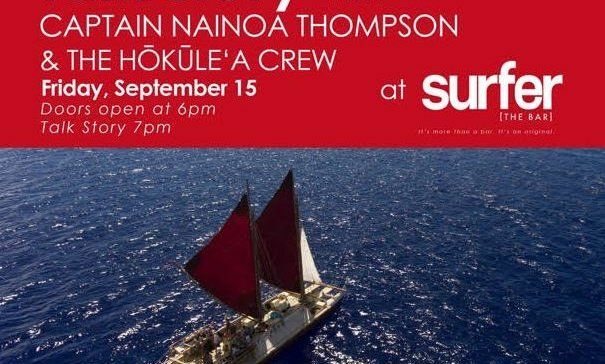 Plus, join us after for music by legendary slack key guitar master, Led Ka’apana! All happening Friday evening at Turtle Bay Resort’s Surfer, the Bar! The primary goal of the voyage was to explore the anthropological theory of the Asiatic origin of native Oceanic people, of Polynesians and Hawaiians in particular, as the result of purposeful trips through the Pacific, as opposed to passive drifting on currents or sailing from the Americas. A secondary project goal was to have the canoe and voyage “serve as vehicles for the cultural revitalization of Hawaiians and other Polynesians”.